Where? 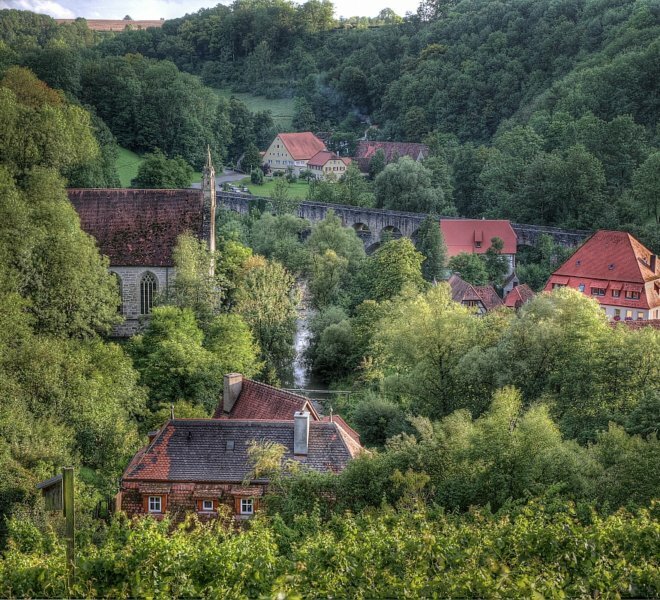 The private gardens of Rothenburg’s old city will join the castle gardens and the An der Eich gardens to turn Rothenburg itself into a landscape garden. Special exhibitions in the Medieval Crime and Justice Museum and RothenburgMuseum will round off the culturally themed year. What? 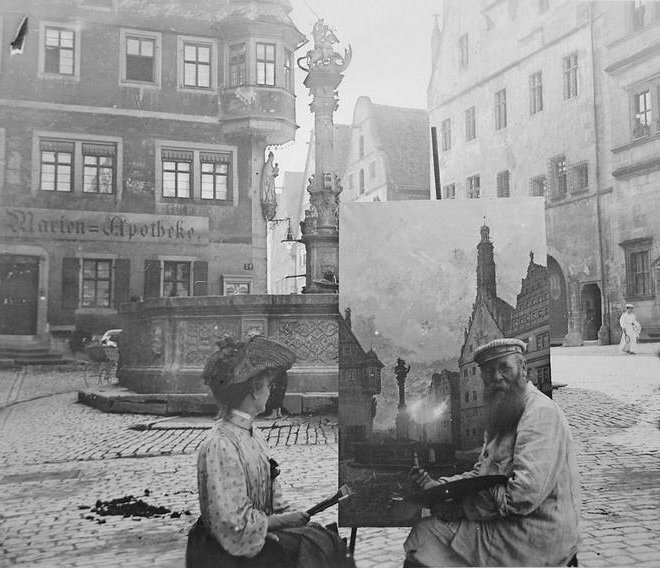 At the close of the nineteenth century, the natural topography and morphology of Rothenburg met all the criteria of picturesque. The city was viewed as such by English artists (architects and painters) and went beyond the picturesque to form a bridge into the modern age. 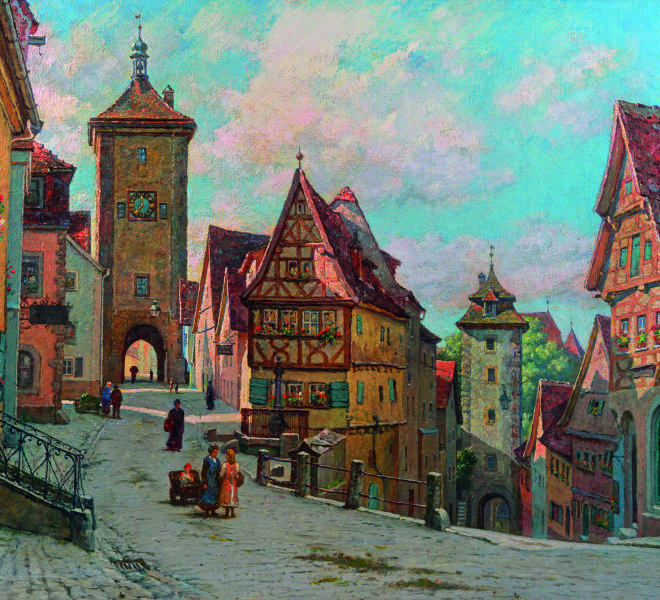 In the second half of the nineteenth century, Rothenburg ob der Tauber was once again discovered as a Medieval treasure trove where time had stood still. 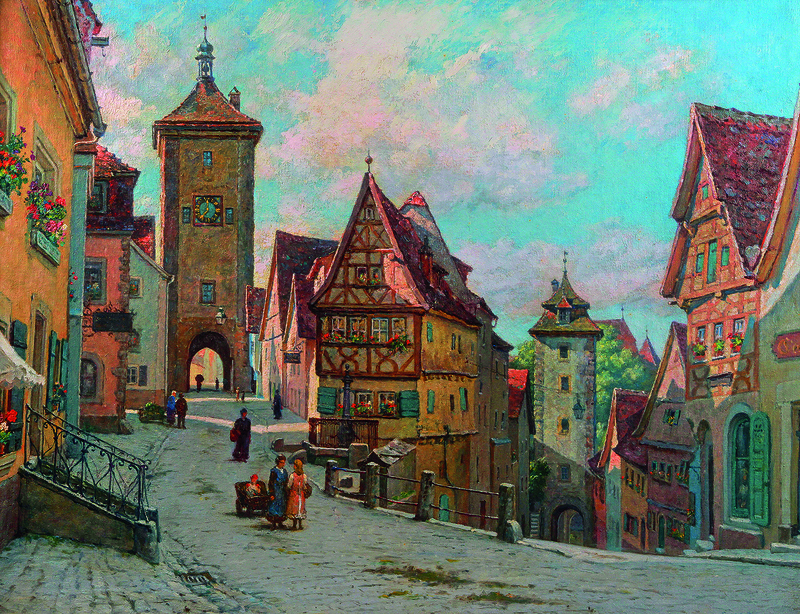 “Rothenburg ob der Tauber – British Perspectives” displays the works of British painters such as Elias Bancroft. “Pittoresk! 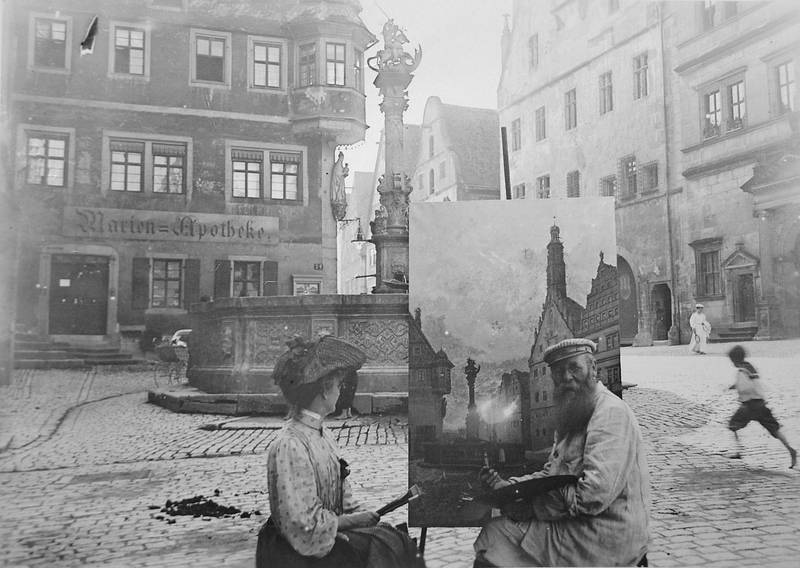 Image and appropriation” in the RothenburgMuseum concerns the change in perception of Rothenburg. Fun fact: The overall architectural effect and its location nestled high over the Tauber inspired renowned architects from the English and German garden city movement in and around 1900. 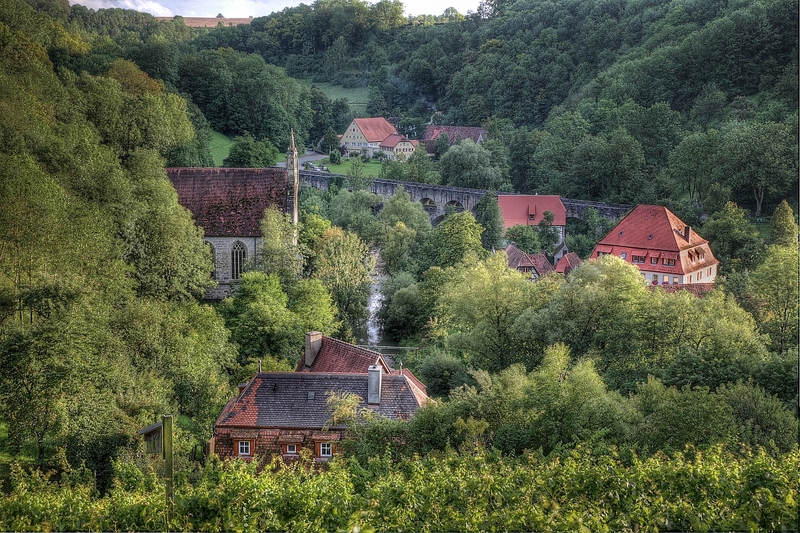 Raymond Unwind’s plans for the Hampstead Garden Suburb in London and Richard Riemerschmid’s Grüner Zipfel in Hellerau in Dresden are clearly influenced by Rothenburg ob der Tauber. An absolute must visit: The Evangelische Tagungsstätte Wildbad in the Tauber valley is an prime architectural example of the picturesque. A tour of the historically protected park makes clear the new perception of architecture and nature in the picturesque.